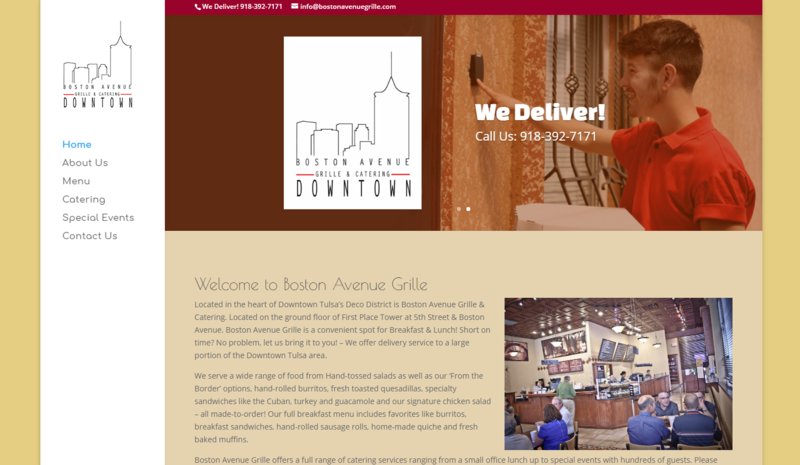 Migrating from an abandoned Squarespace website, Uilabs gave Boston Avenue Grill a new site along with the training to update the site themselves going forward. Using a product like WordPress as the framework for building your site, Changes to the site become trivial. Creating content for marketing campaigns or promotions no longer requires a programmer be involved. Contact us today to put your website back into your OWN hands. Uilabs has been helping Tulsa Based Business look great on the web for over 20 years! – Contact us today to find out how we can help! © 2016 Uilabs LLC. All Rights Reserved. Unauthorized use or reproduction expressly prohibited.